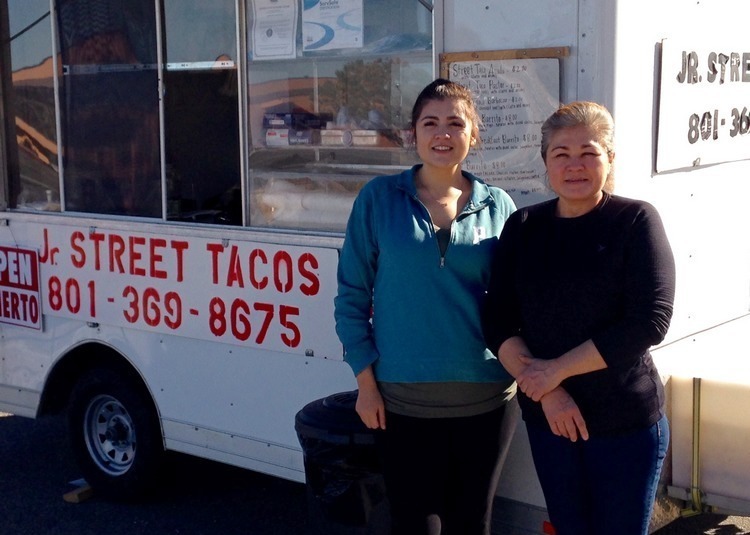 In November, drivers along Great Basin Highway took in the new and welcome sight of Jr. Street Tacos, operated by Claudia Coble and parked at the Sinclair gas station. 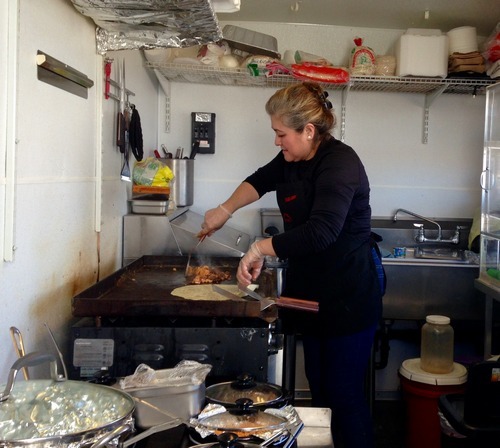 The food truck — really a small trailer — is Coble’s lifelong dream and her food is dreamy. Known for carne asada and tamales, Coble also takes customer requests. Within the first three weeks of operation, she added by popular demand albondigas (meatball soup) and nopales cactus, a vegan favorite. A knowledge of food runs in Coble’s family. Her grandmother owned a carniceria, a butcher shop, in the Mexican state of Jalisco. Coble wakes before dawn to mix fresh tomatillo salsa and prep meat and vegetables for the grill. The truck is a family venture, named for Coble’s son, Junior. Coble’s second husband, Sam Coble, a leatherworker, refurbished the truck and crafted the signs. Coble’s daughter, Emilia Aguayo, takes customer orders with careful attention to detail. “And made with love,” Emilia chimed in. Find Jr. Street Tacos parked at the Sinclair gas station near Ridley’s on Great Basin Highway. Winter hours are 10-5. The truck closes Sunday or Monday each week. For information, call (801) 369-8675. From her new herb shop on Ely’s main street, Mindi Jensen concocts custom tinctures, salves and herbal teas. Each herb has specific properties and applications for conditions ranging from anxiety to allergies. Knowing healing herbs has been a personal journey that began when Jensen herself became ill in her thirties while working full-time and raising children as a single mom. The shop is a homecoming for Jensen who attended high school in Ely before moving to St. George, Utah and traveling and living in Mexico, Puerto Rico and Cuba. Jensen brings to this venture experience in food service—she ran a cafe in Enterprise, Utah and managed a restaurant in Ely—as well as formal training in herbalism. She holds a certificate in herbalism from The Herbal Academy. Jensen makes herb products in-house in the shop’s big kitchen flanked by red linoleum counters and glass-fronted cabinets. Her partner, Wade Bohrn, designed and crafted the front counter and display cases. He makes furniture and art signs from repurposed items, as well as picture frames and and modernist-style wall hangings of wood blocks. 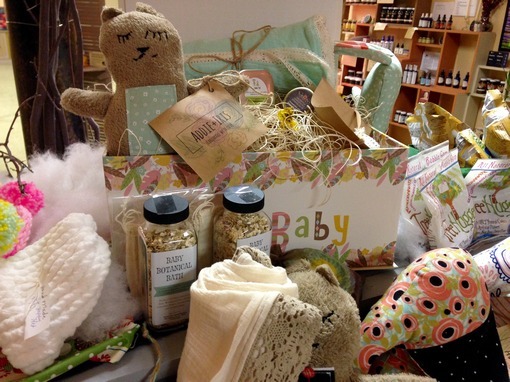 Jensen reaches out to local artisans of all ages and offers a changing array of hand-made items including baby toys and blankets, hats, photographs, pottery and decor. 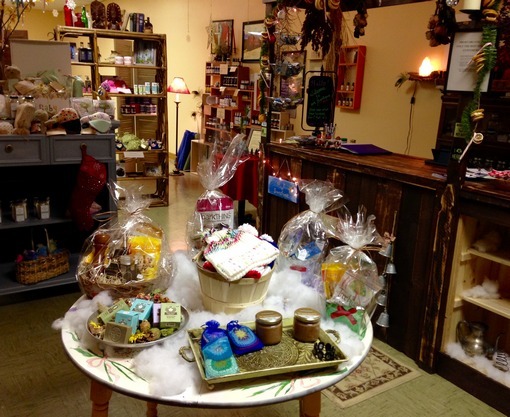 The shop also carries essential oils and diffusers, salt lamps and yoga supplies and specialty items for dogs. Wicked Rein occupies the ground floor of the historic Masonic Lodge. The shop’s generous, south-facing space hosts yoga classes and a weekly donation-based meditation class (taught by this reporter), paint and wine nights, crafts events and more. Cozy chairs in the book exchange nook offer a place to rest and read. On Tuesday, March 20th, the shop will host a spring equinox celebration with plants for sale, spring teas, music and more. It’s an opportunity to unite people with an interest in wildlore, that combination of folk wisdom, experiential and scientific knowledge, and crafting and creativity. “You meet people who do this for their families,” she says of herbal remedies. “That they’ve taught themselves.” Popular remedies are concocted from rose hips and elderberries foraged in White Pine County. At any time, you might find a long-haul trucker unwinding over a cup of tea sweetened with local honey or a mom with toddler in tow picking out presents for a friend. 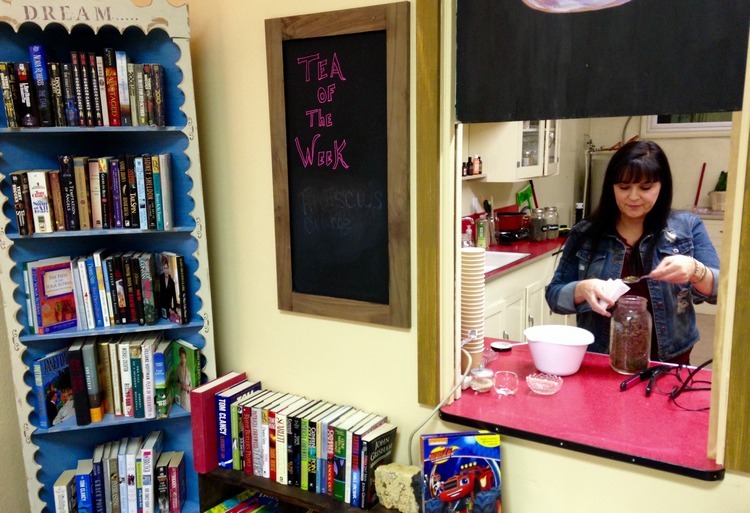 Stop by for a cup of hot tea, choosing from several ever-changing offerings. In summer months, Jensen plans outdoor seating and more healthy snacks. Winter hours are Tuesdays -Thursdays 12-6, Fridays and Saturdays 12-6 For more information, check the Wicked Rein Facebook page or call Mindi Jensen at (775) 293-5744. Jensen ships her tea and salves. 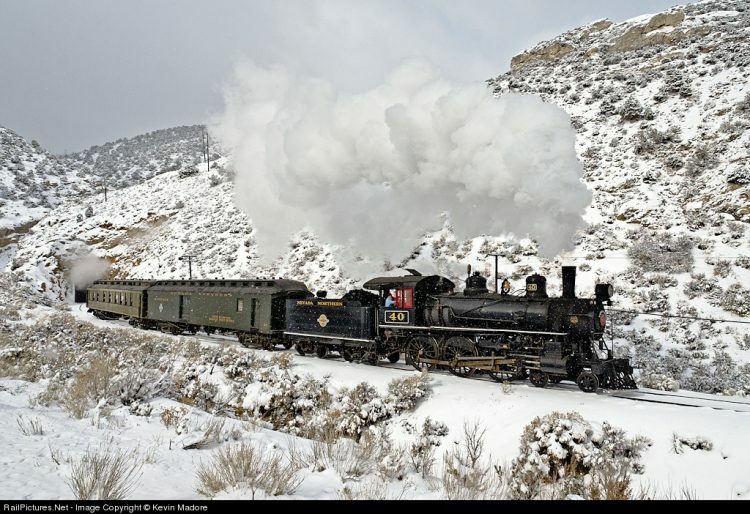 For more than two decades, Ely’s Nevada Northern Railway team has transformed the rail yard into a train photographer’s destination during the second and third weekends of February for the Winter Steam Photo Shoot Spectacular. 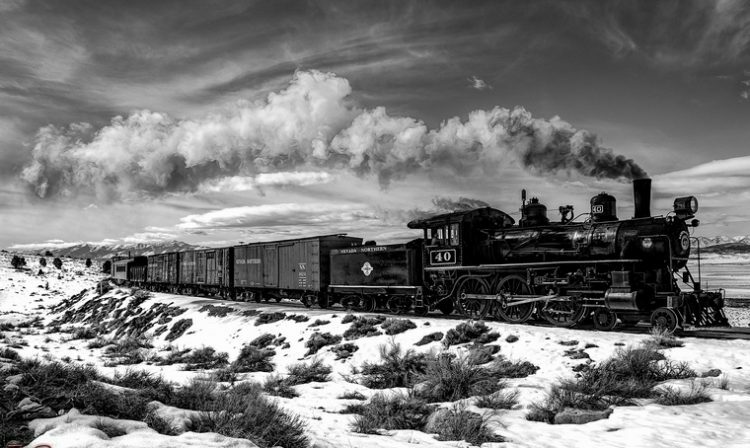 “We hide all of our modern equipment and feature our historic equipment,” says Mark Bassett, executive director of the Nevada Northern Railway Museum, a national historic landmark. By capping the event at 30 people per weekend, every participant has the opportunity to capture a satisfying image under the high desert sunshine. The event is open to any professional and amateur photographer willing to brave winter’s cold, snow and ice. Setting makes a picture and Ely’s is unique. Past participants have entered photos in national contests. And won. This event does sell out. Register here for February 9-11 or 16-18 or both weekends.